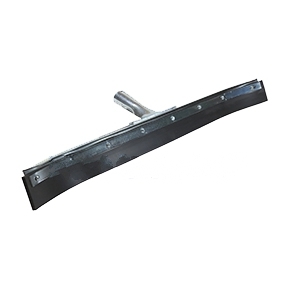 PRODUCT: 24" CURVED, FLAT, EPDM RUBBER BLADE STRAIGHT SQUEEGE. SET IN STEEL FRAME. BLADE CAN BE REPLACED IN FRAME. PRICE/EACH.